Freesia - Are You Searching For Wedding Dresses Or Anything Related To Your Wedding? Are You Searching For Wedding Dresses Or Anything Related To Your Wedding? Be ready, the white wedding will be held on the 6th & 7th of February 2015 at Dusit Thani Lake View Cairo. 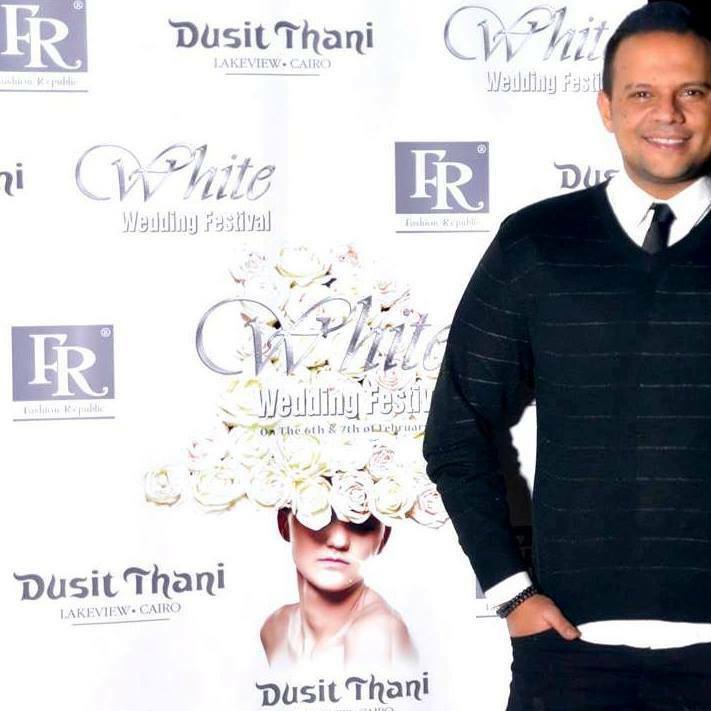 Freesia interviewed the organizer of White Wedding and the founder of Fashion Republic, Karim Elbialy. Tell us more about fashion republic. It is a fashion events management, we have been in the marketing for the past 8 years in the fashion industry & now We are covering 95% of fashion events in Egypt’s market. How did the idea of fashion republic begin? The idea began with me personally. I was living with a passion called ” fashion “. I started abroad having a fashion management certificate from London then I organized many fashion events in Egypt my-self, then we created up a team & and the rest is history. What is the story behind the White Wedding Festival? Actually, we insisted on creating something different than other wedding festivals with all my respect for them, I wanted to make sure that every single couple come at the event get benefits, starting from the invitation of their wedding to the honeymoon package & travel. You created the benefit card during the wedding festival. Especially now with weddings get more expensive. Does the Festival include any catwalks or shows? Yes, the festival includes many things, mainly fashion shows then we will have informative sessions speeches by sponsors and exhibitors & we will have entertainment shows for the first time like fire-works, shows, DJ show and also the surprise this year which is a jewelry show by Iram and a Hair & makeup show by La coupe . White Wedding Festival gathers the top wedding industry key players in the region, Sponsors, Exhibitors, Media Sponsors, Online Sponsors. Waiting for you all on the 6th & 7th of February 2015 at Dusit Thani Lake View Cairo. Freesia will be there !